Supermicro Launches Next-Gen UP Platforms at CES – Throughwave (Thailand) Co.,Ltd. SAN JOSE, Calif., January 5, 2011 – Super Micro Computer, Inc. (NASDAQ: SMCI), the global leader in server technology innovation and green computing, today announced the launch of its next-generation, high-performance, UP (Uni-processor) platforms based on the new Intel P67 and Q67 chipsets optimized for Intel 2nd Generation Core i7/i5/i3 processors. 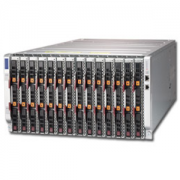 Supermicro is demonstrating these new platforms at CES 2011 in Las Vegas, January 6-9 in booth 5621 of the Las Vegas Convention Center.